There’s a new Chrome extension on the block about to lift off. 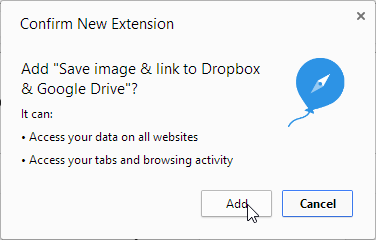 It’s called ballloon (spelled with three L’s because balloon.com was taken) and it lets you shoot images, PDFs and links directly to your Google Drive or Dropbox account with a single click. 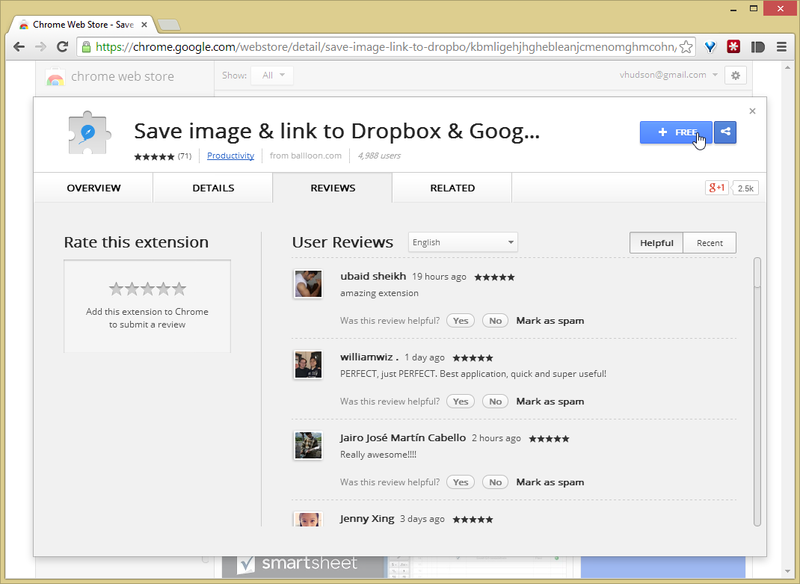 I decided to check out the Chrome extension today to see what all the hype was about. Lifehacker recently wrote a succinct review and I wanted to see for myself if the hype was justified. Hmm… that’s impressive… and these reviews look like they’re from real people. So I installed the extension. I’m always cautions about new apps but this passed my initial smell test. 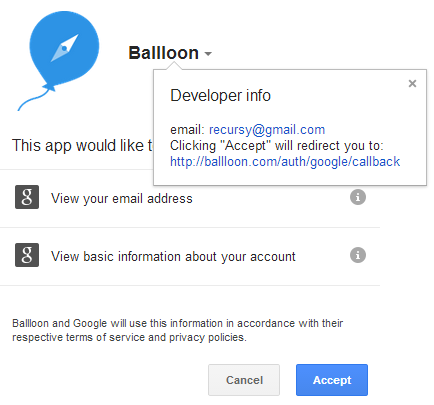 The nice thing about Ballloon is that it doesn’t importune you with silly permissions. In fact, it only requests access to browsing activity and website data. Who can take umbrage with ballloon’s limited permission request? I know I couldn’t. After you add the extension it’s all smooth sailing. Just click the new balloon icon in the upper right corner of the browser and sign in with your Google account. Incidentally, basic information just means Ballloon can see innocuous stuff like your name, photo and timezone. One of the most annoying things about extensions these days is the ascendant trend to become intrusive. Nothing piques my nerves more than a silly extension that demands access to more data than it needs. That’s why it’s a bracing change to see a business out there that isn’t trying to get in your business. Ballloon seamlessly integrates with the browser and starts working right away. 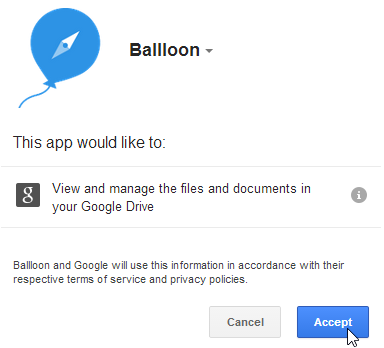 The first time you attempt to lift your image to the cloud the app, in my case Google Drive, Ballloon seeks permission to view and manage the files in Google Drive. Creating files is an obvious prerequisite for interacting with Google Drive so don’t be alarmed. 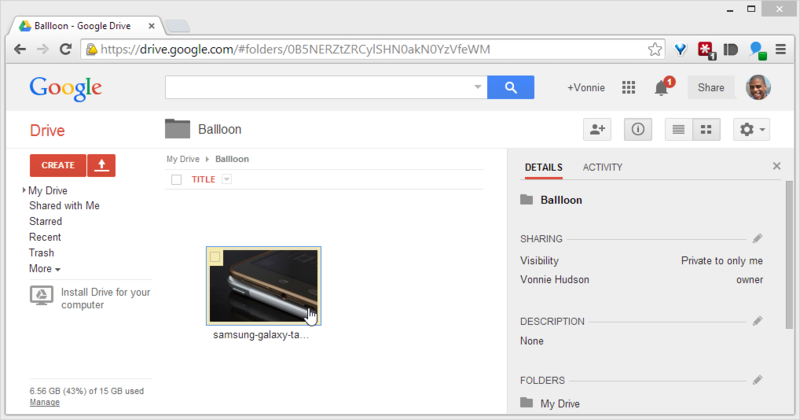 Now dash on over to Google Drive, pop open the Ballloon folder and BAM! There’s the image we captured earlier. 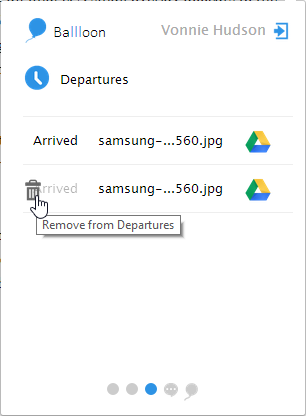 If you want to keep track of the files you’ve balllooned up to the cloud, simply click the Ballloon icon in Chrome and then choose the third tab (the third blue circle near the bottom of the flyout window) to track your Departures. From here you can either delete the file or zoom directly to Google Drive. I like Ballloon because the extension is virtually invisible; thus, it doesn’t bother me. Ballloon gets out of the way and just gives you the web. It doesn’t brag; it doesn’t say: “Hey look at me!”. It simply waits for you to click your Google Drive or Dropbox icon and then zips your media to the cloud. Whenever you need to get a web element to the cloud don’t take the circuitous path of downloading and then syncing it back to the cloud. Just use Ballloon to click and send – it’s so much easier. One thing I’d really like to see in future versions of Ballloon is native support for encrypted File sharing services such as Tresorit. What do you think of Ballloon? Do you use any similar extensions to send your stuff to the cloud? Let me know in the comments! Hello Vonnie, this is Norman Su from Ballloon! Thank you for your sharing, I just love it! If you find any bugs or have any suggestions, please contact us by mailing to press@ballloon.com, or you can write feedback directly in the extension! Ballloon is absolutely amazing to save images and links directly to drive and dropbox. I’ve been using it for a while and finds it pretty cool. Just downloaded Ballloon, so far so good.